Some exciting news about McCallum pipe chanters. 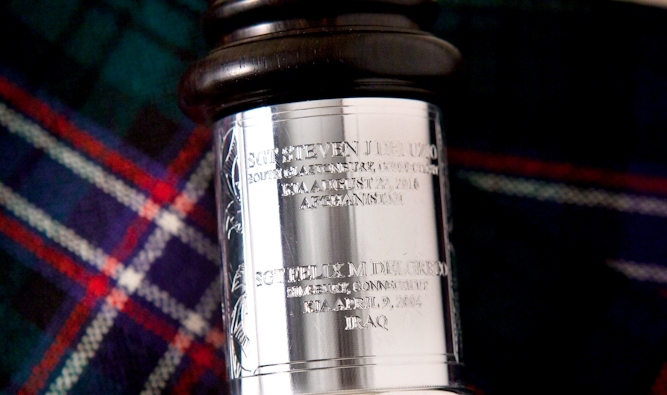 In a Piper and Drummer survey and article on their web site entitled What the world’s top pipe band pipe-sections are playing it was discovered that 50% of the grade one bands were playing McCallum Pipe Chantersin the 2011 season. “Only 20 years ago the types of chanters being played at the Grade 1 level numbered maybe four. Forty years ago that number was probably fewer. 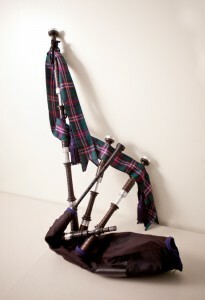 In 2011, though, a total of nine varieties were counted, with McCallum plastic chanters most popular with more than 34% of bands competing with them. Interestingly, 19% of bands went out with blackwood Sinclair chanters – famously expensive instruments that are generally accepted to require very adept players to handle their tuning requirements. 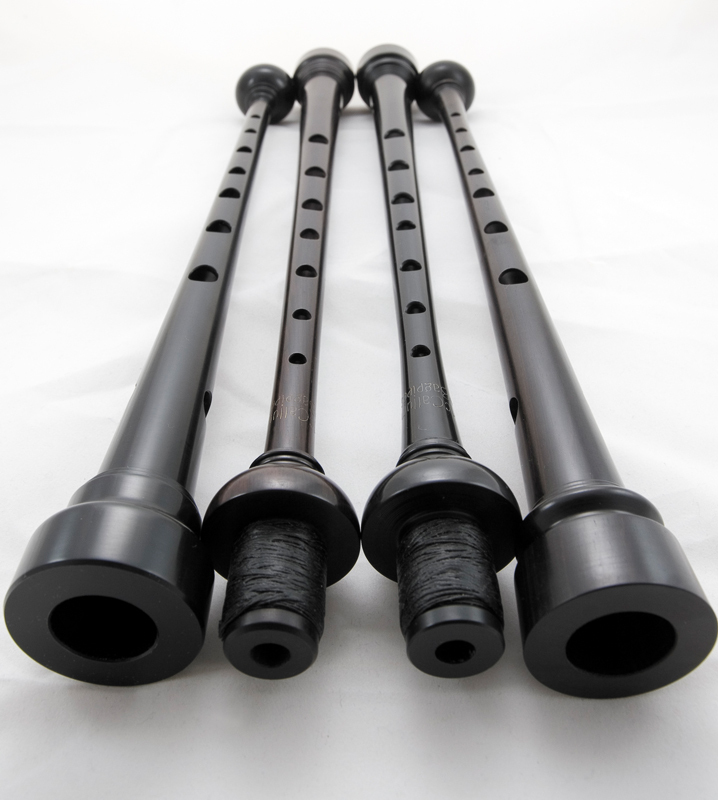 McCallum blackwood chanters make strong headway in third spot, with nearly 16% of respondents playing them, meaning that McCallum owns more than 50% of the market surveyed when the small percentage of bands playing McCallum MC2 chanters is factored. Alex Salmond visited Kilmarnock this month to give the go-ahead to the procurement process for the construction of a new £50 million campus. While there he met our very own Stuart McCallum and Allan Rorison. Stuart is an alumni of the college and Allan got his job at McCallum Bagpipes through the Princess Trust which is based in the Kilmarnock College. The heartfelt letter below is from one of our customers describing why she ordered a very special set of McCallum Bagpipes. We would like to thank her for letting us share her story and the pictures. I cannot thank you and Stuart enough for the great care you took in making my new set of pipes. I knew I wasn’t, but you always made me feel like your only customer. They sound every bit as beautiful as they look! Your suggestion to consider custom engraving on the larger presentation ferrule rather than on something detachable was brilliant. I’ll share with you the inspiration behind my request by way of telling you a little bit about the two young men whose names and KIA dates you affixed to the bass stock. I had never met either of them, but one had grown up in the community where my husband and I had raised our son and the other in my hometown. Felix Del Greco had a strong desire to be of service to his community that was evident even as a young boy. Known as “Fee-Fee” to his friends, he was personable and gregarious, and had a great love of learning. An Eagle Scout and a loyal member of BSA Troop 76, he was a favorite cook on camp outs because of the strange but often wonderful recipes he concocted. He joined the Connecticut National Guard while still a student atSimsburyHigh Schooland began training during the summer between his junior and senior years. After graduating in 1999, he enteredNortheasternUniversity, where in recognition of his academic achievements that first year he was named the military’s Freshman Scholar of the Year. He had a goal of one day seeking the highest office in the land and no one who knew him thought it was beyond his reach. In early 2001, he volunteered to serve a six-month tour of duty in war-tornBosnia, earning the distinction of Soldier of the Rotation from among a multi-national force of 10,000 troops. He returned to Northeastern to continue his studies but was called up again after the fall semester. After nine months of security duty atWest Point, he came home in late 2003 and immediately volunteered for Operation Iraqi Freedom II. He was deployed to theMiddle Eastthe following January and assigned to the Army National Guard’s 1st Battalion, 102nd Infantry. Within days of his arrival inBaghdad, the vehicle he was riding in while on patrol struck an IED. Before backup could reach them, RPGs and small-arms fire attacked the column. On April 9, 2004, SGT Felix M. Del Greco became the first Connecticut National Guard soldier to die in Iraq. Steven DeLuzio was assigned to the 172nd Infantry, 86th Infantry Brigade Combat Team out ofJericho,Vermont. Moved by the events of September 11th, the 2003 graduate ofGlastonburyHigh Schoolhad joined the Vermont National Guard as a student atNorwichUniversity. Following months of training, he put his education on hold in January of 2006 for deployment toIraq. After his tour ended he returned home toConnecticutto finish his college degree, earned with honors from theUniversityofHartford, and begin a promising career in accounting. Once a Little League all-star himself, he helped coach his own team of Little Leaguers all the way to the Town Championship in 2009. He loved being with his fiancée, his family and friends, rooting for the Yankees and the Bruins, and making people around him laugh. Before his first deployment, SGT DeLuzio had a Crucifix inked on his shoulder and the Infantry’s creed “Follow Me” on his back. In an interview with National Public Radio shortly after his death, his parents Diane and Mark shared the story behind another of their son’s tattoos. One day while serving inIraqhis vehicle was stopped by a woman who warned him of an IED in his path. They called in the removal squad and the bomb was defused, making it possible for the soldiers to continue on their way. Returning the next day along the same route, they stopped to thank her for saving their lives but found instead the woman, her husband and children, all beheaded. The experience weighed heavily on him and so to honor her memory he had an image of her face tattooed on his arm. The loss of these two young men to family and friends is immeasurable, and it is for all of us as we are without the men they were becoming. SGT Del Greco and SGT DeLuzio brought out the best in those around them and they will continue to be an inspiration to others for a long time to come. I thank you both so much for the extraordinary kindness you showed while helping me find a way to honor their memory.